Thursday 26th July was a very special day for Ross Le Noa. 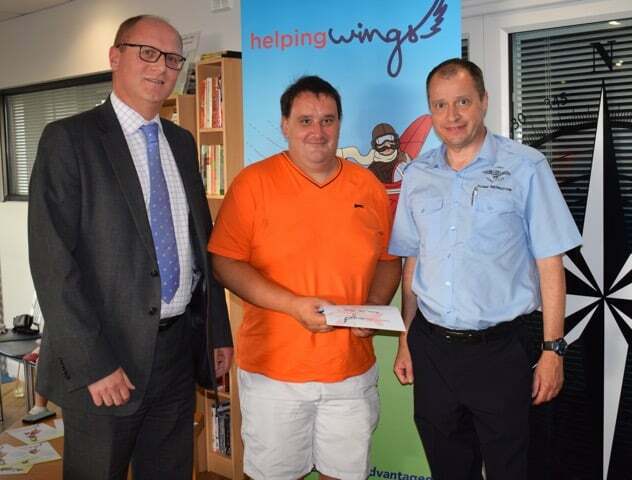 Ross is the winner of the 2018 Helping Wings flying scholarship, sponsored by Port of Jersey. Ross received a certificate worth £2000 of flying training at the Jersey Aero Club. Andrew Boustouler, Chief Financial Officer & Deputy GCEO represented Ports of Jersey and presented Ross with his certificate and a flying log book which will allow Ross to keep a record of his flying training. During the evening Jersey Aero Club Instructor Gary Phillips updated the audience about the recent changes at the club including the purchase of three brand new aeroplanes which will replace the current fleet.